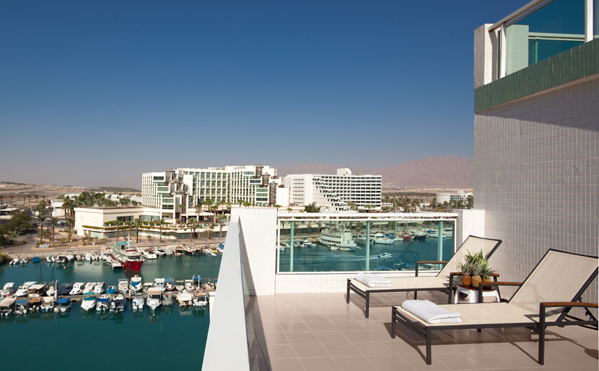 Stay at the Dan Panorama and you're ideally located for a vacation that blends a sun and fun lifestyle with Eilats unique attractions. 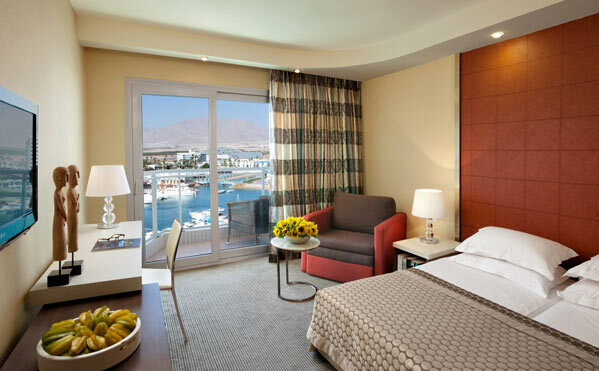 The hotel is situated overlooking the quite water of Eilat's lagoon. It's mere five minutes walk to the beautiful, relaxing north beach where you can perfect your sun tan, swim in the clear cool red sea, indulge in scuba diving, saling or any eater sport that takes your fancy. Kind love the fun and action of our Dannyland children's club while adults can be active as they like thanks to the talents of a gifted entertainment team. 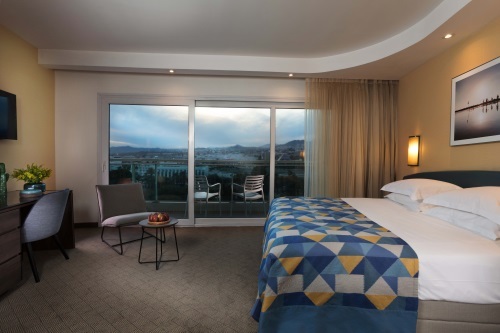 Friendly and fun, with a wide choice or recreational facilities and function rooms, the hotel is perfect for a vacation, professional get-together, or a bit of both. 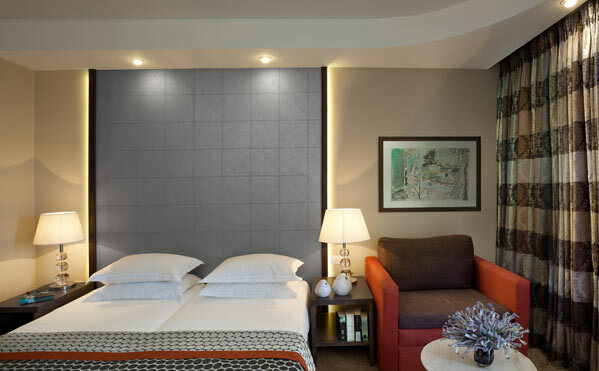 SuiteWell-designed suite, with a specious layout. Very spacious living room area, and a modern separate bedroom. 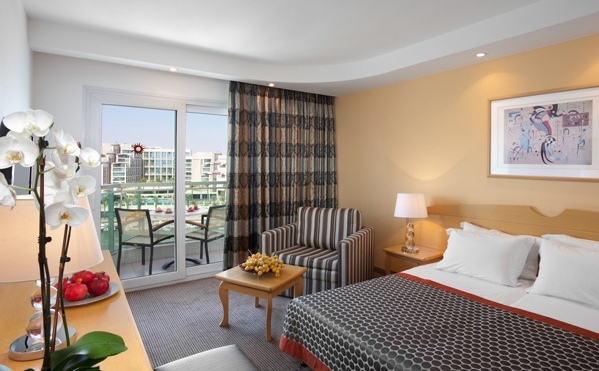 The suite includes a large private terrace with outdoor Jacuzzi & sunbeds. More details: 77 Sq. m / Max 3 persons, 3rd Floor Free access to Executive Lounge (from age 18).